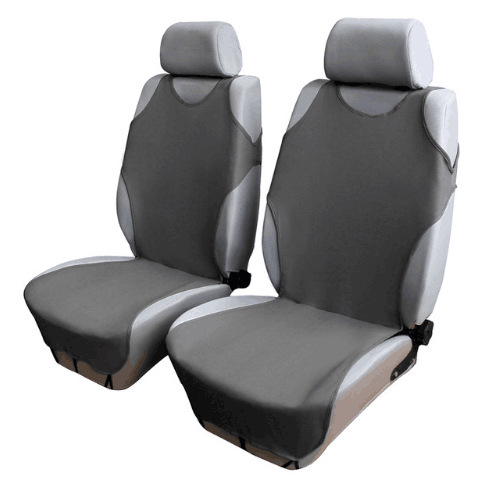 Successfully Added Car Front Breathable Seat Covers for 5 Seat SUV Universal Application 4 Seasons Available (Gray) to your Shopping Cart. Suitable for most car seats, universal for four seasons, let your car upgrate a new look. It is made of high-strength seat cover fabric, comfortable, dirt-resistant, wear-resistant, easy to clean, does not fall off. Summer is not too hot, winter will not be too cold, it is a four-season universal advanced seat cover. Note: Due to manual measurements, there may be 1-3 cm difference. The colors deviation might differ due to different monitor settings, please kindly understand.